The Israeli government is only now cracking down on a movement that has incited violence against Jews for decades. What is the Islamic Movement, and why was it banned? The Northern Branch of Israel’s Islamic Movement has hit the headlines once again. The organization was declared illegal by Israel’s security cabinet, accusing it of leading “a mendacious campaign of incitement…. 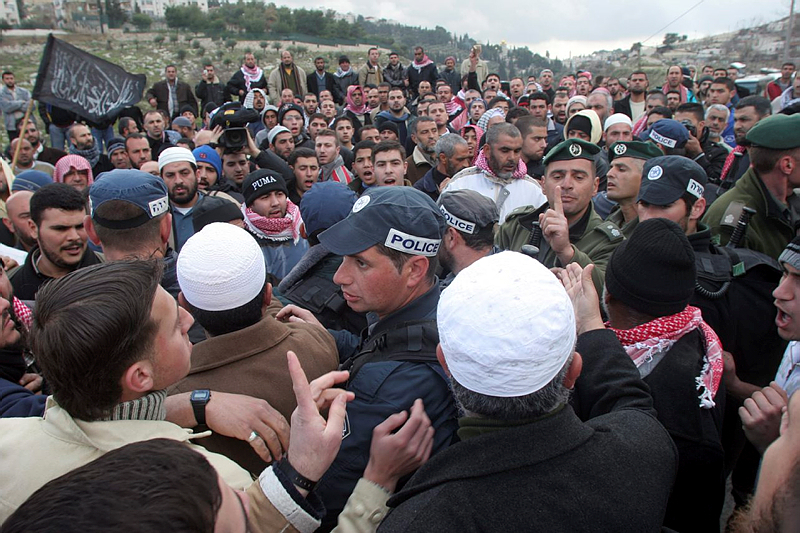 [that] has led to a significant increase in tension on the Temple Mount. A significant portion of recent terrorist attacks have been committed against the background of this incitement and propaganda.” Meanwhile, demonstrations led by Northern Branch head Sheikh Raed Salah continue unimpeded in the large northern Arab town of Umm al-Fahm and other areas in the Arab sector. How did the Northern Branch of the Islamic Movement become a center of anti-Israel and anti-Jewish incitement and defamation? What is its ideology? How does it operate, and on behalf of whom? The answers to these questions raise an even more difficult question: How, in spite of everything, does the Northern Branch of the Islamic Movement continue to operate freely in Israel? In order to answer these questions, one must first understand the Islamic Movement in the larger context of which it is an indissoluble part—Islamism. It is important to point out that Islamism is a movement that regards the sovereign Jewish state as an existential battle between Islam and Judaism. This has only become more prominent in recent years, as Palestine and Jerusalem have been sanctified in a way they never were before. Many respected observers have already noted that, according to this new Islamic theology, Arabs are not permitted to concede even a centimeter of Palestine to the “Zionist enemy,” let alone accept a non-Muslim state in their midst. In parallel, the movement has fostered the “Islamization” of the geography and history of the Land of Israel. In an attempt to provide a framework for dealing with what it sees as the occupation of Palestine by the Jews, Islamists have rewritten the history of the Land of Israel. They have done so in order to place Islam at the center of the history of the ancient Middle East, denying the existence of any Jewish connection to the Land of Israel and the Temple Mount. This revisionism is intended to convince the world that the Arabs preceded the Hebrews as the original inhabitants of the Middle East. Thus they are the true heirs to the land they call “Palestine.” The conclusion that flows from this religious principle is that no other people has historical rights to this land. This worldview, of course, leaves no room for compromise. Territorial concessions, generous as they may be, cannot resolve this conflict. The growth of the Islamic Movement among Israeli-Arabs is connected to the “Islamic wave” that washed over the Middle East at the end of the 1970s, gathering momentum and encouragement from the 1979 Islamic Revolution in Iran. During this time, Israeli-Arabs, especially the young, underwent a “return to Islam,” with large numbers adopting a strict Muslim religious life. The slogan “Islam is the Solution,” coined by Hassan al-Banna, founder of the Muslim Brotherhood, was embraced by many different groups of Israeli-Arabs. This was especially the case in the “Arab triangle” region in northern Israel. 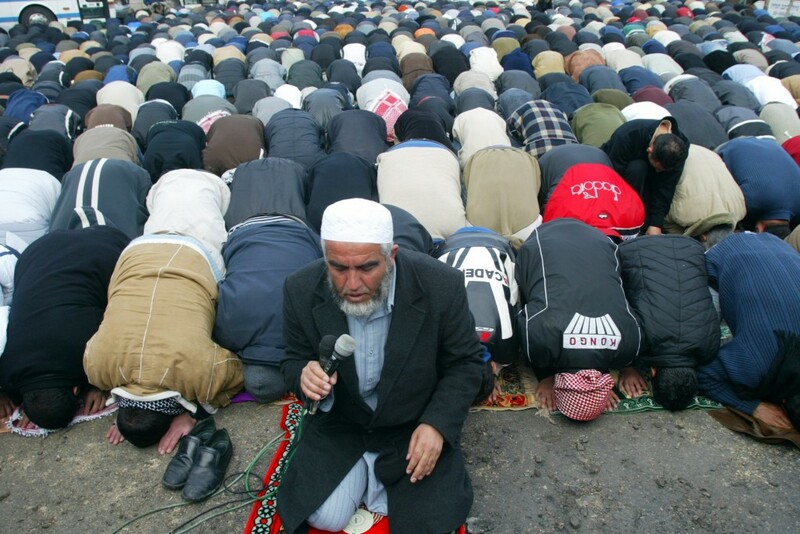 Islamic groups in the West Bank were also influenced by this religious revival. The structure of the Islamic Movement in Israel, like its ideology, is based on that of the Muslim Brotherhood. Its central mechanism is Da’wah (“preaching”). The organization is divided into cells, which are either “open” or “closed.” The open cells accept anyone who wants to join the movement. The closed cells, however, are reserved for longtime members who have the potential to become leaders of the movement. This concept of using open and closed cells is taken from al-Banna, who declared that preaching must be open and organization secret. A lesser-known event in the history of the Islamic Movement occurred in 1979. That year, the spiritual leader of the Movement, Sheikh Abdullah Nimer Darwish from Kfar Kassem, organized dozens of newly religious members into an underground cell. The goal of this organization was to prepare an “Arab-Islamic State in Palestine.” The members of the cell acquired weapons, burned fields, and murdered an Arab suspected of collaborating with Israel in Umm al-Fahm. In March of 1981, the organization was exposed, and its members arrested. After he was released from prison, Sheikh Darwish appeared to have learned his lesson. He decided that organizing an underground movement to wage jihad against Israel was hopeless. Such a movement stood no chance against the power of the state. From then on, the Islamic Movement would act within the law. Its main activities would be preaching, Islamic education, and the development of health, food, and welfare services for the Arab public. This was also a method borrowed from the Muslim Brotherhood, which too called the strategy “Da’wah”—the “preparation of hearts” through preaching. As a result of this shift, the Islamic Movement created a welfare system that served as an alternative to that of the state. This was intended to create a separate and self-sufficient Arab economy. The effort grew throughout the 1980s and greatly expanded in the 1990s. Through charities and, later, incorporated companies, the Movement built kindergartens, schools, clinics, and welfare institutions. It also built numerous mosques, which were used to indoctrinate new members. It also sponsored sports clubs and even an Islamic soccer league. Funding for all these activities came from several Gulf states, as well as Islamic organizations in Europe and the United States. In 1983, the Movement fielded political candidates for the first time, and won the leadership of two local councils. In the 1989 elections, it won six regional offices, among them the municipality of Umm al-Fahm. At the same time, the organization’s two newspapers, al-Srat and Saut al-Haq wa al-Hurriyeh, learned how to exploit the openness of Israeli society in order to attack it. They do so through furious incitement, accusing the state and the Jews in general of all manner of crimes. These papers give full expression to every aspect of the Muslim Brotherhood’s doctrine: The vision of an Islamic super-state, sacrifice for God, and the principle of jihad. They often publish anti-Semitic claims about the Jews and the State of Israel, raise doubts about Israel’s ability to survive, reject its laws, preach the necessity of “regaining” all of Palestine, and sometimes prophesy the annihilation of the Jewish state itself. From the beginning, however, there were disagreements within the Islamic Movement over its relationship with Israeli society. The argument became heated over the question of whether to participate in Knesset elections. The peace process, especially the Madrid Conference in 1991 and the Oslo Accords in 1993, exacerbated these divisions, as it marked the beginning of a serious rift between the PLO leadership, Hamas, and Islamic Jihad with which the Islamic Movement had to contend. As a result of this disagreement, two opposing camps formed: One, led by Darwish, was pragmatic, holding that the Islamic Movement had no choice but to participate in the political life of the State of Israel and even run for the Knesset while continuing its preaching and other activities. 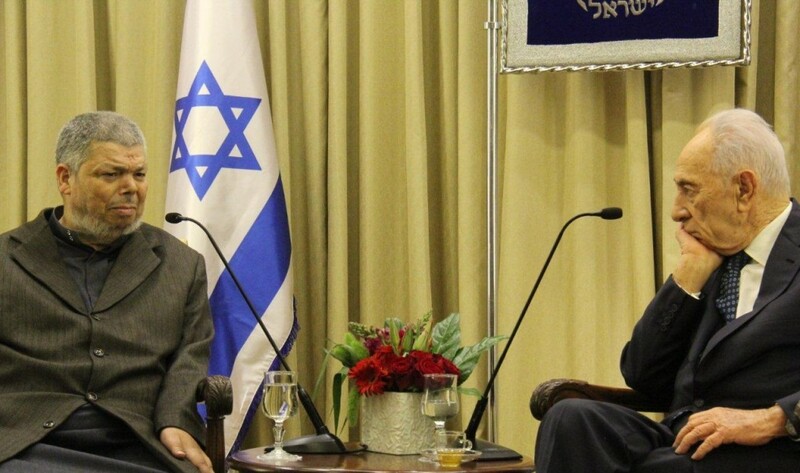 Darwish also supported the Oslo Accords between Israel and the PLO, and won the support of Yasser Arafat. This faction came to be called the Southern Branch of the Islamic Movement. The second faction chose radicalism. This breakaway Northern Branch of the Movement was led by Sheikh Raed Salah and his lieutenant Kamal Hatib, leader of the Movement in the Galilee in northern Israel. The Northern Branch took up the cause of Israeli-Arab social, religious, and cultural separatism. It did hold, however, that there was no reason not to run for local political offices, since doing so would serve Israeli-Arab society alone and according to the Movement’s principles. The Northern Faction’s separatist ideology seeks to reduce Muslim participation in the Israeli political system to the minimum necessary to serve the interests of the Muslim community, and reduce the community’s dependence on state institutions. Its guiding principle is that the entirety of Israel is an “Islamic waqf,” sacred Muslim property. Even though both branches of the Movement have condemned terrorism in the past and emphasized that their activities are conducted within the law, the Northern Branch often addresses the issue in vague and amorphous terms, especially in regard to the activities of Palestinian organizations. The Northern Branch does not conceal the fact that it does not recognize Israel and, accordingly, does not take part in the national political process. This separatist ideology has had a negative influence on Arab participation in Israeli life. The goal of the Northern Branch is the creation of a state ruled by Islamic sharia law. The structure and methods of its organization create additional problems requiring attention from the authorities and the Arab public. The final split between the two branches occurred in 1996 in the context of Darwish’s attempt to establish contacts between Israel and Hamas. Because the Movement took its ideology from the world of Islamic concepts and symbols, it has the potential for wide popular support, and it did indeed grow stronger throughout the 1990s. Followers of the Movement have declared that they work within Israeli society, and obey its laws. Nonetheless, it was difficult for them to completely separate their belief system from those of radical Islamic movements, which have now spread through the entire Islamic world. 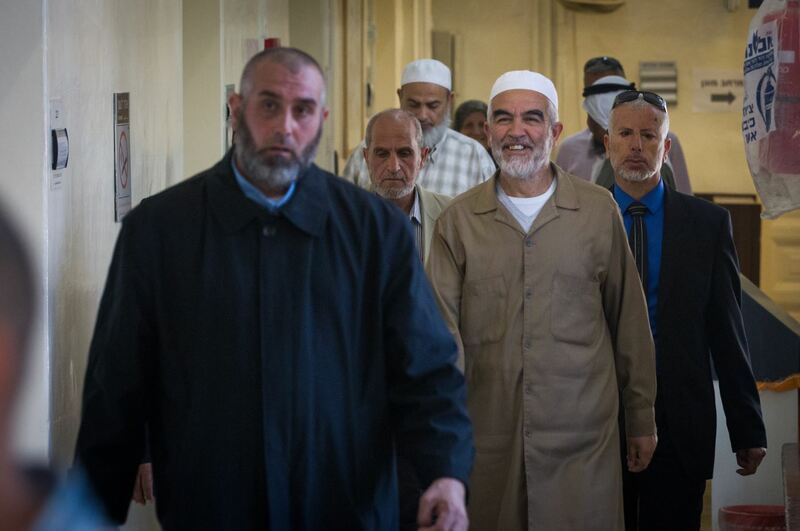 After the split in the Islamic Movement, Raed Salah adopted a combative and aggressive stance toward the State of Israel. This expressed itself in a long series of articles in the Movement’s journals attacking Jewish institutions and Zionism. 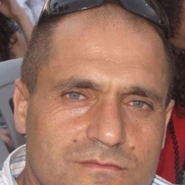 Salah attributed malicious intent to the State of Israel, which, he claimed, intends to destroy the al-Aqsa Mosque on the Temple Mount in Jerusalem. He denounced the Israeli authorities, including government ministries, leaders, and the security services. He accused the state of planning to “Judaize” Jerusalem and ethnically cleanse its Arab residents. He claimed that Israel intends to expropriate land belonging to Arabs. At the same time, Salah, like other leaders of the Northern Branch, conveyed radical nationalist messages to his flock, calling on Israeli-Arabs to help realize the “right of return” and aid Palestinian security prisoners. The Islamic Movement has channeled its efforts into two forms of protest: The first is its involvement in issues of contention between Muslims and the Israeli authorities. These disputes have intensified over the years. As the self-awareness of the Muslim community has grown, the Movement’s efforts on these issues have become more and more organized. Second, both branches of the Islamic Movement have sought to return various holy sites to Islam, including abandoned cemeteries and destroyed mosques. These actions have been undertaken in mixed cities and even cities with a distinctly Jewish character, such as Tiberias. Movement activists have mapped sites across Israel and tried to stop public building projects through legal means. Mainly, they claim that these areas are waqf. These activities have caused substantial friction and sometimes violence between Muslims and Jews, as well as the state authorities. Prominent examples from the 1990s took place in Tiberias, Hof Ha’bonim, and Caesarea. In recent years, the Northern Branch has expanded its ideological and political activities to the Palestinian issue as a whole. This includes involvement in the struggles between the Palestinian Authority and Hamas, the “right of return,” negotiations with Israel, and so on. For the most part, it has done so by adopting the ideology of Hamas and expressing explicit support for the terrorist group. None of this distracted from the Movement’s activism in regard to the Temple Mount, however, and Salah does indeed remain the leader of these activities. The Northern Branch takes a more aggressive, outspoken, and violent line on this issue than its rival. Its activists have engaged in open incitement, attempted to provoke both the authorities and the public, and engaged in direct action. The logic driving these activities is the need to convince the Muslim community in Israel to join in the defense of the Temple Mount from what they call “the authorities’ scheme to destroy the mosques.” In the next stage, the plan will call on the Palestinians in the territories to join in this “defense,” and afterwards the entire Arab and Muslim world. This kind of activism has caused no small degree of tension on the Mount and its surroundings. In some cases, statements by the heads of the Northern Branch have directly incited the Arab sector against the authorities. This tends to culminate at the Movement’s annual assembly, called “al-Aqsa in Danger,” which has been held every year since 1996 in Umm al-Fahm. Each year at the assembly, the Movement’s leaders engage in open incitement against Israel’s leaders, Judaism, and Zionism, whipping the crowd into a frenzy. Our dear Sheikh Raed Salah: You are the head of the Islamic Movement in Palestine. I don’t say the leader of the Islamic Movement within [Israel’s 1948 borders], but Palestine—all of Palestine. The old and the young of the movement in Gaza love the knight who crosses the waves to meet and embrace them. The youth of the movement in the West Bank look to the heroic sheikh who stands on the front line, recruits men and boys, and brings them to the battle to defend al-Aqsa. There is no doubt that our brothers outside [of Palestine], together with all Muslims who know your role and your power, remember your actions on behalf of al-Aqsa and Palestine. …You are the one who fights for them with a stubbornness that is unworthy of anyone but heroes like you, who are among the heirs of the fathers of the people. …History will tell—and it will be written in pride and magnificence—that the vanguard Salah was the vanguard of Salah al-Din that prepared his way and announced his coming, and worked to educate the generation of victory and the conquerors, the generation of Salah al-Din. But the connections between Hamas and the Northern Branch go far beyond the issue of al-Aqsa. Indeed, what brought the Islamic Movement, or at least its Northern Branch, to contribute to the radicalization of the Arab sector was its ideological and often practical connections to the various strains of Islamism in the region. Perhaps the most problematic issue in regard to the relationship between the Movement and the Israeli state is its continuing relationship with Hamas. More than once, Movement activists have expressed pride in Hamas’ accomplishments, maintained connections with Hamas on the ground, and even intervened politically in Hamas’ relationship with the Palestinian Authority. At a time when the pragmatic faction chose to work as a mediator between Hamas and the PA, members of the radical faction took the side of Hamas against then-PA President Yasser Arafat’s policies. The radical wing, in common with Hamas, criticized the agreements the PA signed with Israel and accused the PA of appeasement. 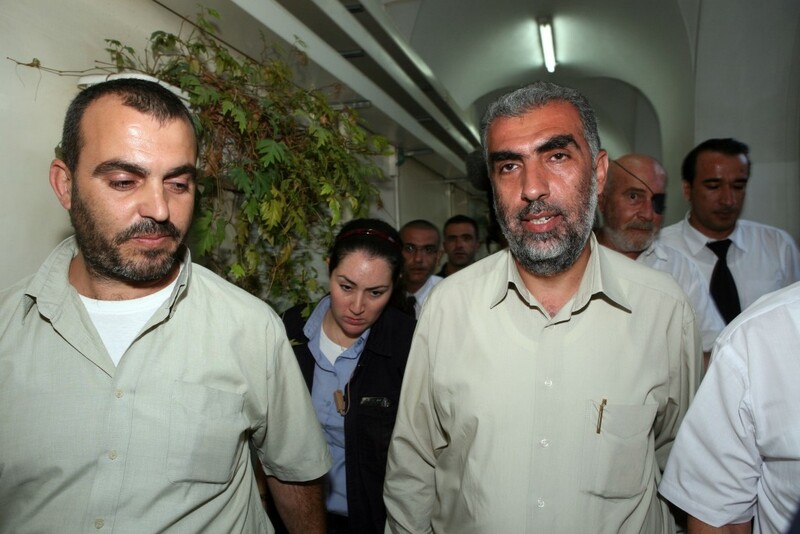 It published prominent Hamas figures in its journal, and held meetings with Hamas leaders outside of Israel. In the days of the first intifada, the Islamic Movement began a large-scale effort to send clothing, food, and money to the territories in general and Hamas in particular. The Movement aided orphans, wounded families, the needy, the hospitalized, and the handicapped. And as later become clear, many of those aided were Hamas members and their families. In July 1995, the Israeli police closed the offices of the Movement’s aid committee and confiscated documents and equipment. This was another expression of the process by which the religious revival in the Israeli Muslim community led to political radicalization. In an interview with an online Islamic website, Salah described this expansion of the Islamic Movement’s activities. The Islamic Movement and its leadership have a prominent role in the issue of occupied al-Quds and the al-Aqsa Mosque. [This role] began to expand from the local level to the general Palestinian level, and from there to the global level, [mainly] around the issue of the occupied al-Quds and the al-Aqsa Mosque. [Involvement in these issues] allowed the Movement to create of international connections on the issues it deals with. In the same interview, Salah spoke about the pressing need to get involved in the Palestinian issue, and called on the PLO to admit that negotiations with Israel had failed. The Palestinian issue is currently in a state of retreat, which, if it continues, will not lead to anything good. Thus, the movement needs every man who can work to extricate it from its current predicament, and every ambitious idea that will push it forward to realize the Palestinians’ rights and help every aspect of the Palestinian cause. I don’t think I am the man to realize this, but I intend to take a part in the collective struggle as currently required, with the goal of healing internal Palestinian divisions and uniting the Palestinian leadership with the Palestinian factions and the Palestinian public. Today, we need the Palestinian leadership, which chose the option of negotiation, to say openly and courageously that this was an illusion, that it has continued for over 20 years and caused only the retreat of the Palestinian cause …and that we must return to collective thinking and the collective vision that will unite the leadership, the factions, the Palestinian public, and the various institutions. [Abbas] is not the president of the Palestinian people; he is not even a part of it. At most, he is the chairman of a wretched authority whose term ended long ago, but is still “hanging” from a rope tied by the Israeli authorities, America, and several Arab regimes. Therefore, Abbas has no right to speak for the Palestinian people about the rights of others over Palestine, especially after he has failed thus far to remove even one small army checkpoint at the entrance to Ramallah, let alone realize any of the rights of the people he claims to represent. Salah was a central figure on the flotilla. According to several people who were with him on the ship, he made statements in support of jihad during the voyage. For example, Walid al-Tabatbai, a member of the Kuwaiti parliament, called Salah the “star” of the flotilla and testified that he made inflammatory statements. Muhammad al-Blataji, assistant secretary-general of the Muslim Brotherhood faction in the Egyptian parliament, said that on the night the Israelis took control of the flotilla, various clerics preached sermons that fired up the activists; Salah used a hadith in his sermon in which Muhammad explains the virtue of jihad. If Herzl sailed from Turkey toward Palestine in order to lay the first bricks in the building of the Jewish state, then the Turks today are sailing toward Palestine in order to break the siege, and more than this—in order to emphasize the primary right of the Hamas movement, which was elected by its people, to run things in the Gaza Strip, and in order to be the nucleus of a future Palestinian state—on the sea, on the land, and in the air. Thus stated [Turkish] Prime Minister Erdoğan. During a press conference held after the flotilla was stopped, Salah also praised the Turks as those who will bring about the end of Zionism. Herzl once wanted the Zionist project to begin in Turkey, and now these events teach every intelligent person that the end of the Zionist project [will be] in Turkey. …The blood of the martyrs and the wounded on the freedom flotilla carries many messages, and among them is the mingling of Palestinian and Turkish blood. …The future of Istanbul is the future of al-Quds, the future of Ankara is part of the future of Gaza, and the future of the Muhammad al-Fatih mosque [in Istanbul] is part of the future of the al-Aqsa Mosque. At the same press conference, Salah expanded on his support of jihad and the road it should take to achieve victory. We say [to Israel]: If you have atomic bombs, missiles, tanks, cannons, and soldiers of land, sea, and air, know that Allah is he who gives life and death. We are not afraid of anyone other than the Master of the Universe. Martyrdom is our faith, and a duty incumbent on all. Every one of us most long for it and die wishing for it. Salah doesn’t just talk. His movement also has a history of struggle in the field. This was the case, for example, around al-Ruha in late October 1998, two years before the Israeli-Arab riots of October 2000. Salah called on the residents of Umm al-Fahm to oppose a plan calling for the expropriation of an area of 500 dunams. Salah announced, “al-Ruha is our land, whatever the sacrifice may be.” At the same time, he established a committee for the defense of the land of al-Ruha, which brought together the heads of local councils, political figures from the Arab sector, and parts of the Arab “street,” particularly in Wadi Ara. The activities of the Northern Branch in various areas, including accusing the state of persecuting the Israeli Arab community, attempting to harm Islamic holy sites, and encouraging confrontation with the authorities were all undertaken under a religious guise. Salah, his lieutenant Kamal Hatib, and top Northern Branch officials used the al-Aqsa Mosque as a tool for goading the authorities, and regularly accused the authorities of plotting to destroy the mosques on the Temple Mount. The logic behind these activities was simple: The majority of Israeli-Arabs are Muslim, and the most basic and simple way to win their support is to constantly repeat the message that the holy al-Aqsa Mosque is under threat from the infidels (Israel) who want to destroy it. Accordingly, during these years, Salah led a campaign against the Israeli state and called for his followers to sacrifice themselves to save al-Aqsa. In his testimony before the Or Commission, which investigated the 2000 riots, Salah explained that the defense of the mosque includes opposing the behavior of its foreign “conquerors.” Salah also linked the religious motif of al-Aqsa to the political process, when he expressed his opposition to any concessions to Israel regarding al-Aqsa and Jerusalem in any agreement resolving the Israeli-Palestinian conflict. Between the split from the Southern Branch of the Islamic Movement in 1996 and the outbreak of the 2000 riots, the leaders of the Northern Branch exploited every opportunity to instill in the Arab public that the mosques on the Temple Mount were in immediate danger, and they must rise up to defend them. According to the Or Commission, inflammatory speeches were made at the assemblies of 1999 and 2000, which incited the Arab sector to the point of mass hysteria. At the 1999 assembly, for example, Kamal Hatib said the “oil lamp of al-Aqsa may be extinguished, but we are prepared to light al-Aqsa with blood.” A year later, a short time before the riots erupted, Hatib published an article in the movement’s journal in which he claimed that the “prime minister, Ehud Barak, intends to destroy the al-Aqsa Mosque and threatens that the Muslims will not shed a tear, but [Muslims] will make sure that rivers of blood surround the mosque.” At the 2000 assembly, Hatib said that any claim that the Jews have a right to the Temple Mount means a declaration of religious war against Muslims all over the world. He also included the Western Wall as part of the al-Aqsa complex. The call to “save al-Aqsa” from “Zionist infidels” is always accompanied by the attempt to undermine the legitimacy of Israel and denounce Judaism. Thus, for example, at a rally in Acre on April 1, 2000, Hatib called Israel an “ape, pervert, and traitor.” This and many similar statements illustrate one of the fundamental aspects of the Northern Branch’s ideology toward the Jewish state. In regard to the October 2000 riots that briefly convulsed Arab towns and cities in Israel, the heads of the Islamic Movement did not claim active involvement in testimony before the Or Commission—unlike the heads of the Arab political party Balad. One day after the riots began, however, the Northern Branch published an announcement that praised the blood sacrifice for al-Aqsa. In his testimony before the Commission, Salah confirmed that he drafted the announcement. In another statement, the Islamic Movement—similar to Balad—declared the events on the Temple Mount in 2000 a “planned massacre.” Salah blamed the Israeli authorities for the outbreak of violence, which he claimed were the result of a conspiracy by the security services. 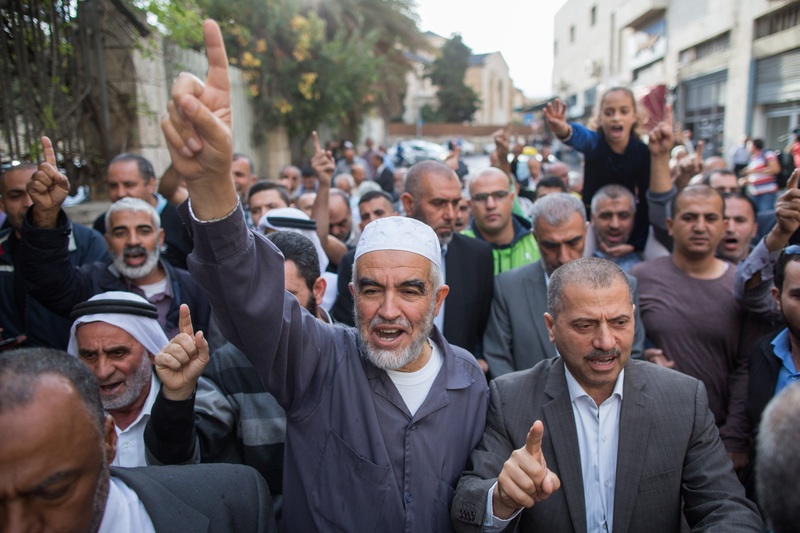 In the midst of the riots, the Umm al-Fahm municipality and its mayor—none other than Raed Salah himself—published a statement thanking “all our residents in towns and villages throughout the homeland who proved their unity and solidarity with the al-Aqsa Mosque.” The announcement was filled with praise and the glorification of violence against the security forces. Salah himself published a communique on October 6, 2000 that called the events the “al-Aqsa intifada.” The Or Commission stated that “according to this definition, the Sheikh was of the opinion that these were events with the quality of an uprising and not simply demonstrations.” On the same day, the Islamic Movement published another proclamation, in which it connected the “Land Day” demonstrations of 1976 to the events of October 2000, which were to defend the al-Aqsa Mosque. Throughout the entire time before and during the riots, there was no attempt by Salah or the heads of the Islamic Movement to call on the public—already inflamed by the Movement’s propaganda—to act with restraint and moderation. The opposite was the case. Their messages served as an accelerant. Given all of the above, it seems clear that the ideology, methods, and actions of the Northern Branch of the Islamic Movement and its leaders exploit religion to guide and encourage fringe groups that seek to engage in political violence. On the issue of the October 2000 riots, this use of religion was continuously and systematically undertaken over a relatively long period of four years. In light of the terror spreading across the streets of Israeli cities today, will the political and judicial echelon do the right thing, dry up the sources of funding for the Islamic Movement, and outlaw it? Time will tell. Editor’s Note: A version of this article appeared in Hebrew at Mida, a publication of El Haprat, a nonprofit organization.